(Bloomberg) -- This past April, a number of Venezuelan military dissidents were holed up in neighboring Colombia plotting to overthrow the government of President Nicolas Maduro when they were approached by a group with similar plans. The military dissidents declined to participate. They found the civilians unprofessional and weren’t interested in killing Maduro. Their goal was to capture him and put him on trial. 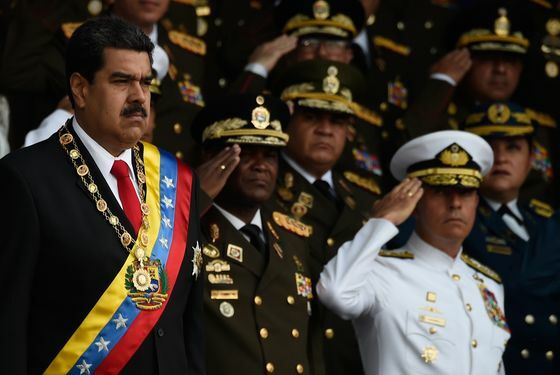 Two weeks ago, when Maduro was speaking at a military parade in Caracas, drones packed with plastic explosives detonated nearby in a failed assassination attempt. A participant in the April Bogota meeting said in an interview that he believes the people his group met with were the perpetrators. His group, which included members of all four armed-service branches, was later infiltrated by the Venezuelan security services. Several dozen were arrested, breaking up the most serious attempt to overthrow Maduro in his five years in office. The plan was called Operation Constitution. The man remains abroad. His theory about who was behind the drone attack is one of several clues emerging about the perpetrators of the Aug. 4 assault. The government also knows some things about the plotters. It says their financier is Osman Delgado, a Venezuelan living in Miami who is linked to a 2017 attack on a military base. Delgado couldn’t be reached for comment. 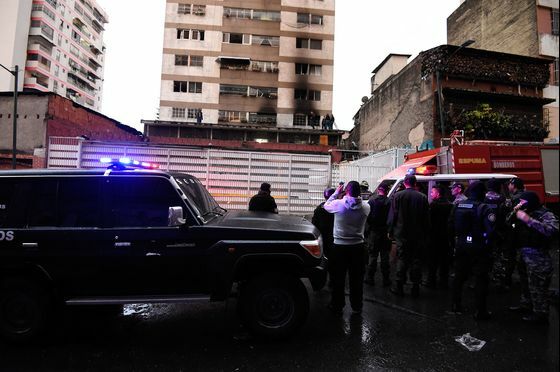 The government has released audio recordings of what seem to be the attackers on the day of the assassination attempt. The recordings reveal a chaotic group bickering and scolding one another for failing to report in or not speaking loudly enough or announcing that the military ceremony being attacked was underway. At one point, one of the alleged conspirators can be heard giving a series of instructions on how to operate the drone. Later, another demands the status of the rest of the group after one drone is airborne. “Updates please. Say something! Everything is quiet!” she is heard to say. The government appears to be using the plot to pursue political opponents who may have nothing to do with it, an approach it has used in the past. It has at times arrested opponents and accused them of sabotage as the economy and basic services have collapsed. In the past, the plots were mostly invented for political purposes; now they’re increasingly real. In the past two weeks, the government has announced the arrests of two high-ranking national guardsmen, a congressman and almost a dozen other people, many younger than 30. 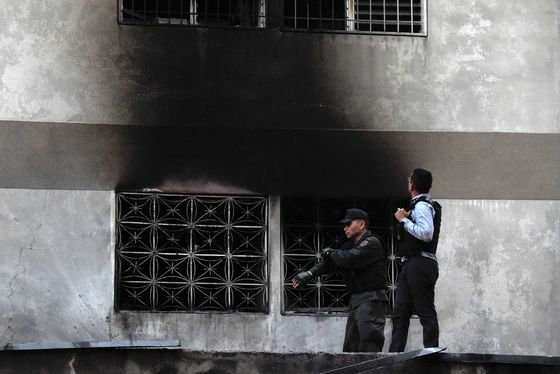 The Venezuelan Justice Organization, a human-rights watchdog, says there are currently about 150 servicemen and women behind bars. One group claiming responsibility for this month’s attempt is a network of online activists called Soldados de Franela, or Soldiers in T-Shirts, named after the way street protesters hide their faces. The escaped plotter, however, doesn’t think they are the people he met with in Bogota. What is clear is the depth of despair spreading across Venezuela as it descends into a lawless failed state where crime is rampant, those who can are leaving and hunger gnaws away at many of the nation’s remaining 30 million inhabitants. For at least a year, there have been multiple small-scale rebellions, largely unconnected. Officials say as many 34 people, including opposition leaders and former student protesters, conspired in the drone attack. The president was unharmed, but much of the country watched on live television as hundreds of soldiers scattered following the off-camera explosions, deeply embarrassing the government. Among the detainees are a general and colonel of the national guard and the congressmen, Juan Requesens. He has been charged with attempted homicide and treason. 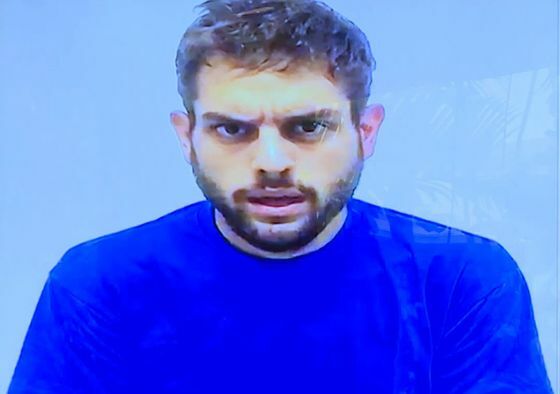 The government has released a video of Requesens, 29, that shows him apparently answering an interrogator and acknowledging participating in the plot. His party says he was coerced and drugged. Another video his supporters leaked shows him in a state of ruin, almost naked in what appears to be soiled underwear. Authorities are now seeking an additional 20 suspects, including a lawmaker in exile, who are at large across Latin America and in the U.S. The government has named as one of the leaders Julio Borges, the former head of Venezuela’s opposition-led congress, who fled to Colombia earlier this year. Borges has denied involvement and said the attacks were perpetrated from within the government’s own ranks. Soldiers in T-Shirts formed following a wave of anti-government unrest in 2014. Its website and social-media accounts have been popular among demonstrators and resistance groups for updates on protests and news critical of the government. In 2017, Soldiers in T-Shirts began disseminating messages and videos of Oscar Perez, an elite police officer who commandeered a helicopter and called upon Venezuelans to rise up against the government. Security forces killed him in January in an hours-long shootout that was, in part, broadcast across social media. One of the Soldiers in T-Shirts leaders, who gave his name as Gregory, confirmed Perez’s death the day of the raid in an interview with CNN en Espanol. Whatever their role in the most recent attack, he said, the group is growing.